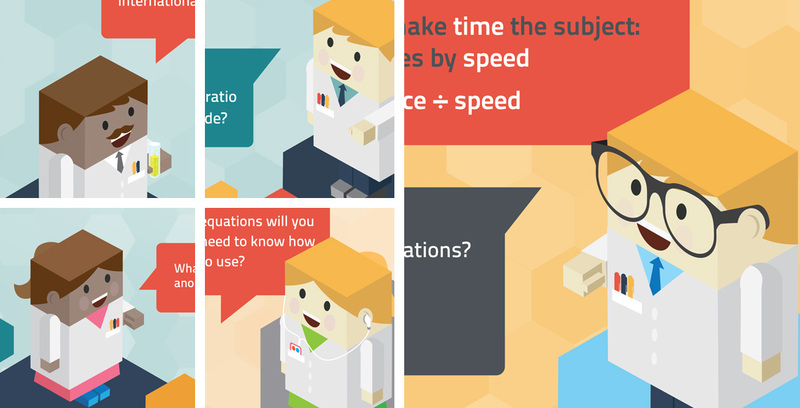 Teachit Science is a growing collection of practical, tried and tested science resources created and shared by teachers. 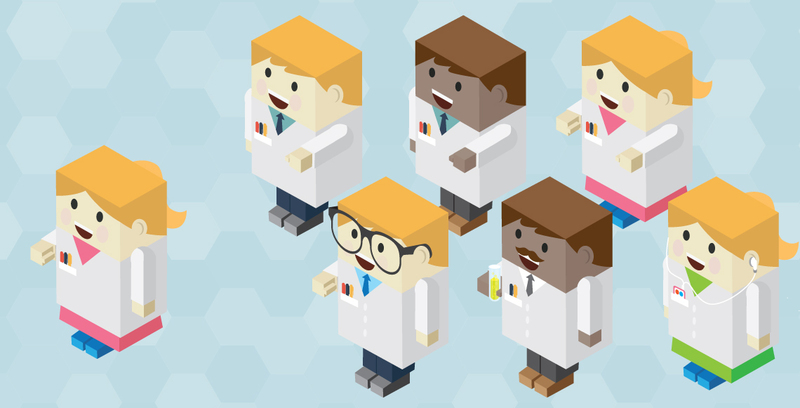 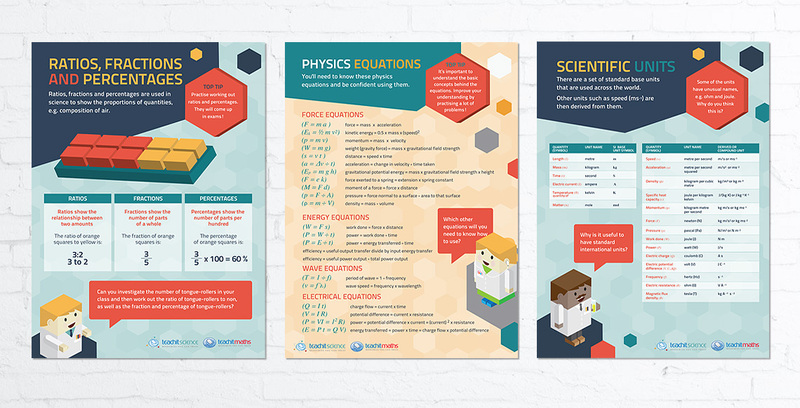 We were commissioned to develop characters and ten engaging posters to add some personality to the Maths for Science Skills posters, and to encourage students to develop the skills needed for the new science and maths GCSEs. 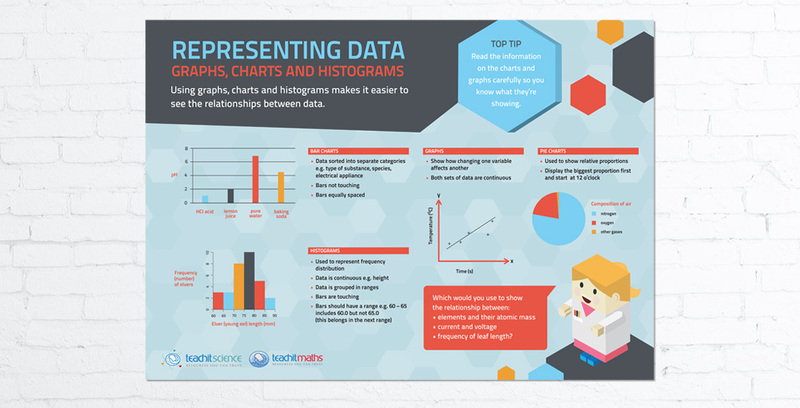 They were also designed to support teachers in the delivery of skills such as fractions and percentages; representing data – graphs, charts and histograms,area and volume.